This is the second workout in my new video series covering home gym dumbbell workouts. I get a lot of requests for simple workouts that can be done at home using very basic equipment. 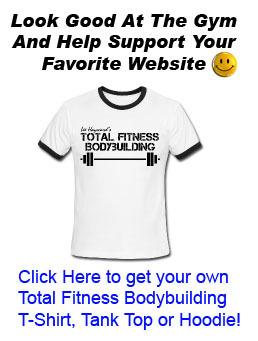 That’s why over the next several videos and blog posts I’m going to be showing you how to work all your major muscle groups at home with nothing more than dumbbell exercises and body weight exercises. Back in the late 1980’s and early 1990’s I used to workout in our basement with one of those old York Barbell & Dumbbell sets, and I’m not talking about the iron plate weight set, but the big clumsy plastic weight plates that were filled with cement… If you’ve been around the weight training game for a while, you may remember them. I’m not sure if they still make those plastic cement filled weights anymore because they were so awkward… But that’s how I got started. The back is one of the most critical areas for a strong powerful physique. Many beginners overlook the importance of back training in their workouts as they tend to focus more on the show off muscles like the chest and arms. While having a well developed chest and arms are important to a complete physique. They are only a small part of the big picture. The back is one of the most crucial muscle groups in the upper body for all around functional strength and building an impressive muscular physique. In fact the saying in bodybuilding competitions for decades has been that “the contest is won from the back”. And with very few exceptions most bodybuilding contests are won by the competitor with the best back development. A good back has 3 main qualities: thickness, width, and v-shape. In this home gym back workout you learn how to train for all these things so you can build a well developed back! If you can’t play the embedded video here on my blog, you can watch it directly on my YouTube channel by clicking here. This is a great exercise to isolate the back muscles and pre-fatigue them with a strict rowing movement, before we get into doing the rest of the back workout. A lot of guys have trouble getting that mind muscle connection when training back, but this exercise will pump up the lats so you can feel your back muscles working. The dumbbell back fly will work the rear delts, traps, and upper back muscles. 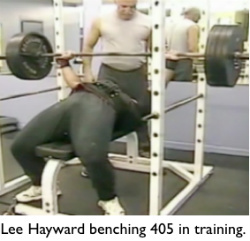 By doing this exercise laying face down on an exercise bench you’ll eliminate swinging, cheating, and momentum – making it a strict upper back exercise. Keep the weight light and really focus on squeezing your upper back and holding the peak contraction with each rep. The pull up is one of the best back exercises you can do for building a v-shaped back. For this one you’ll need to rig up some sort of pull up bar or get one of those door way pull up bars. Focus on using a full range of motion, letting your arms extend and stretch out your back muscles at the bottom of each rep, then pull yourself up as high as you can for a full peak contraction throughout the lats. If you can’t do pull ups with your bodyweight, than check out my video showing How To Do Pull Ups For Beginners. This move is similar to the chest supported db row we did earlier, but because we’re doing this with one arm at a time you’ll be stronger and be able to lift more weight per arm. And doing the exercise standing will help you to generate more power as well. So it’s more of a power rowing move, rather than a strict isolated rowing move. This will help to add mass to your back. No back workout would be complete without a deadlift variation. Deadlifts work the entire back of the body, from your traps, rhomboids, lats, spinal erectors, hips, glutes, and hamstrings. With the dumbbell deadlift you won’t be able to lift as heavy as you can with a barbell deadlift, so you’ll need to do higher reps, and that’s why I’m saving this one for the end of the back workout. The exercises we’ve done up until this point will work all aspects of your back for complete muscle development. But if you’d like to do more, you can do some extra high rep sets of Superman Back Extensions to work the entire posterior chain. This is a great exercise that will strengthen your core and lower back. That’s it, if you do this your back muscles will be feeling pumped and your lats will be wide and swole. 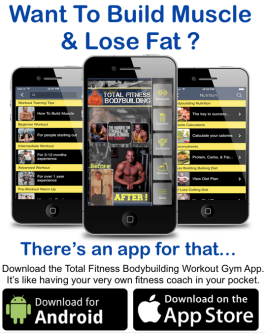 Give it a try for yourself and leave me a comment letting me know how you like the home gym dumbbell back workout. The next workout will be a complete home gym dumbbell bicep workout! 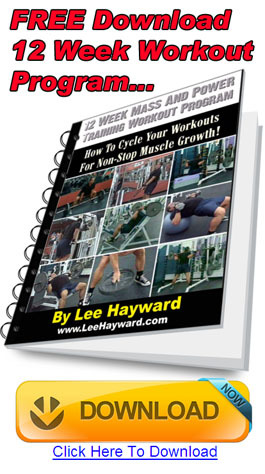 Lee Hayward is a competitive bodybuilder and muscle building coach who has been online helping people build muscle, lose bodyfat, and get in shape since 1999. 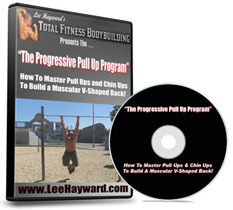 Lee was selected as one of the Top Fitness Trainers Online through YouTube's Next Trainer Program and his work has been featured in several international magazines such as: FLEX, Muscle Insider, Muscle Mag International, Testosterone, Ironmag, and Forbes.